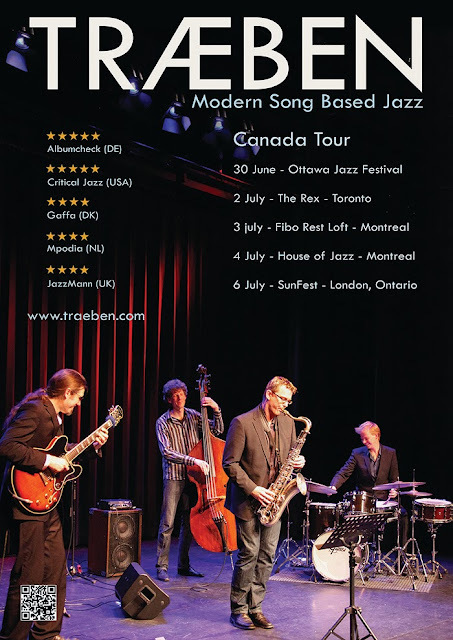 The Dutch / Danish jazz Quartet Træben will be heading for their very first North American tour this summer with 5 shows including headlining both Ottawa Jazz Festival and Sun Festival. "On Push, Traeben is consistently playful, spacious and dynamic." "Traeben may be Europe's top secret weapon. But with Push, the secret is out. This is a band which should have staying power." 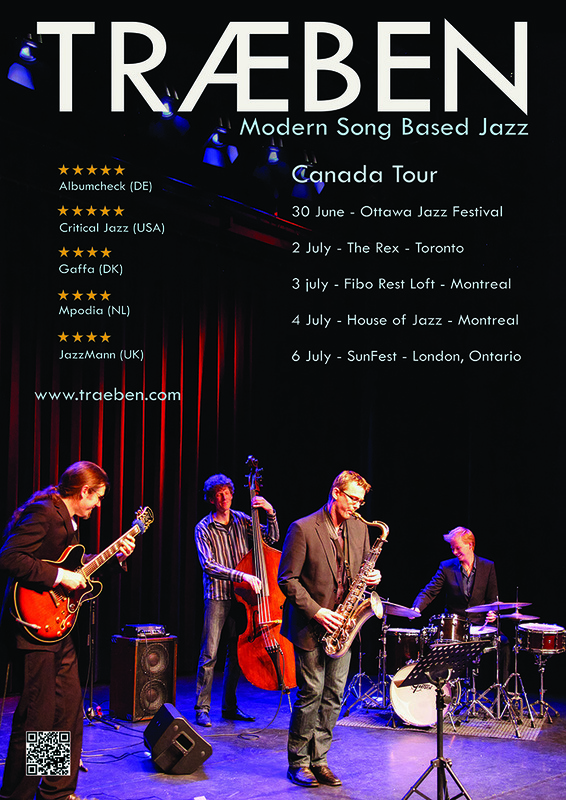 "TRÆBEN is the epitome of a contemporary jazz band."